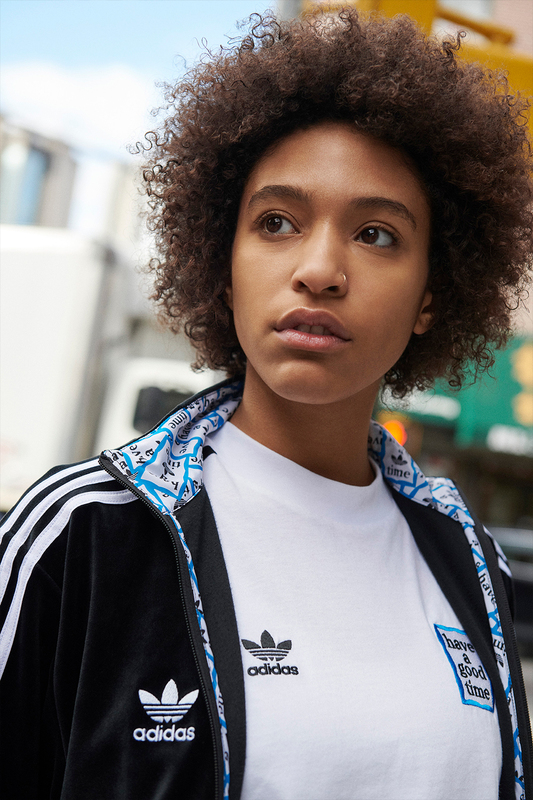 Continuing from their previous F/W18 collection, Tokyo streetwear brand – have a good time team up with adidas Originals once again to present their latest SS19 capsule. Inspired by Argentina’s national football team colour palette, the collection features blue hues as opposed to their signature red branding. Featuring within the collection are velour tracksuits, windbreakers, T-shirts. 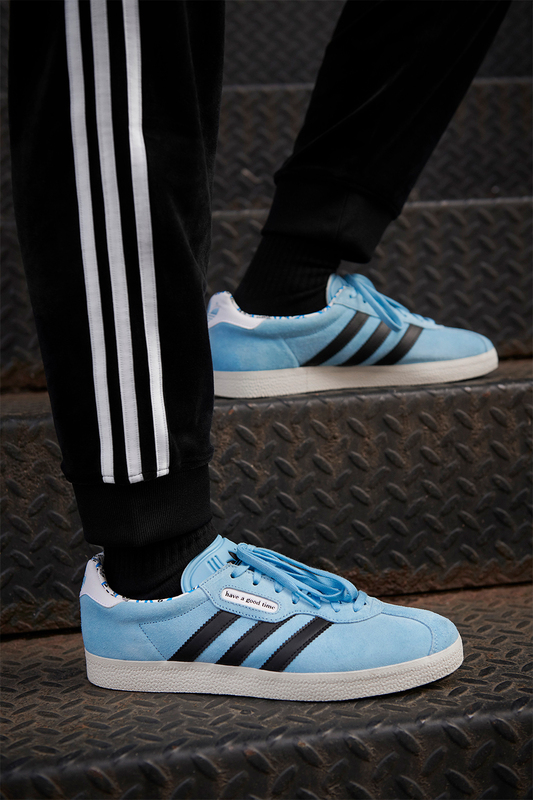 Footwear consists of timeless classics with the adidas Gazelle dressed in Clear Blue with hits of Black and White. 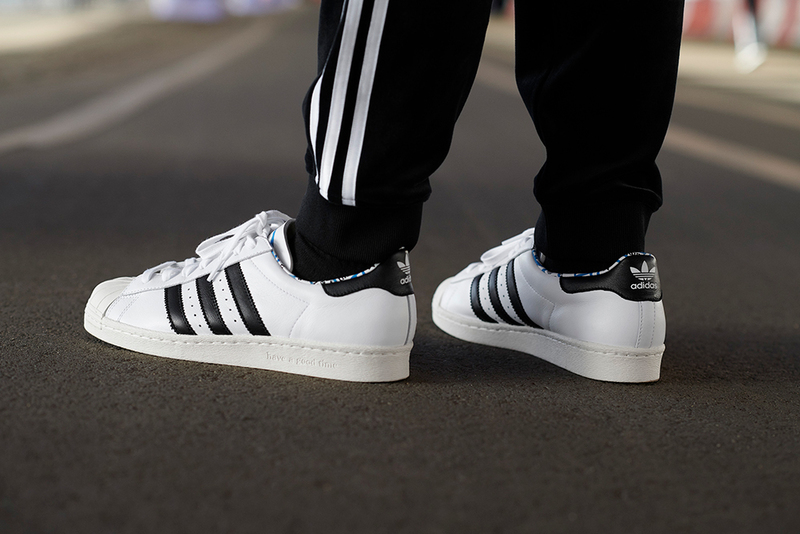 The other pair being the adidas Superstar which is predominantly White with hits of Blue and Black. The adidas Originals x have a good time SS19 Collection will be Launching online on Saturday 19th January (available online at 8:00AM GMT). Apparel sizes ranges from S – XL, prices range from £55 – £180. Footwear sizes range from UK6 – UK12 (including half sizes), prices range from £120 – £130.